Introducing Hysterics, a new project from Philip Gamble, better known as the breakout Night Slugs producer Girl Unit. 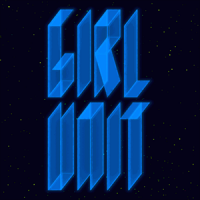 While Girl Unit continues to exist in a bright digital universe that stretches beyond the dancefloor, Hysterics lives in the club. Hysterics tracks are reductions of visceral percussion and bass that connect with our basic instincts. The three cuts on his forthcoming Night Slugs Club Constructions EP (out July 9th) are the result of an experimental production processes, incorporating tape feedback, raw drums punched in manually, and percussive parts that are allowed to take unusual lead roles. The resulting recordings are intricate but highly robust rhythm trax—the oppressive EBM-tech of “Pleasuredrome” juxtaposed with a show-stopping DJ tool in “Code Switch.” The tracks sound like heavy industry: pistons, valves and and exhausts pumping and hissing, hammers pounding. But as machines they are not self-powered; the sound of human exertion is ever present: heavy breathing and gasps as each track is operated manually, man intersecting with machine in a collision of steam and sweat. 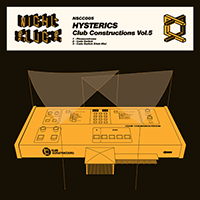 Club Constructions is a series focusing on rhythm tracks, wild DJ tools and stripped down music made directly for the dance floor.